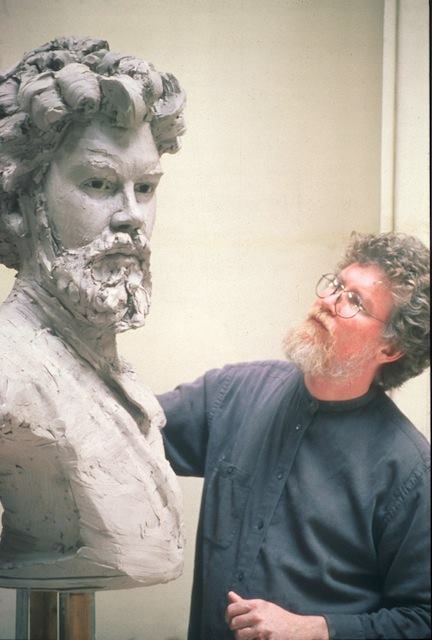 The New Orleans Academy of Fine Arts is in its 40th year: 1978 - 2018. As we enter our fifth decade, we can be proud to recall the effects and influence our small institution has had on our community. We are planning a commemorative celebration to occur later this year, with a special exhibition of work by all instructors who have taught at the Academy. As our plans finalize, we will inform you of specifics. 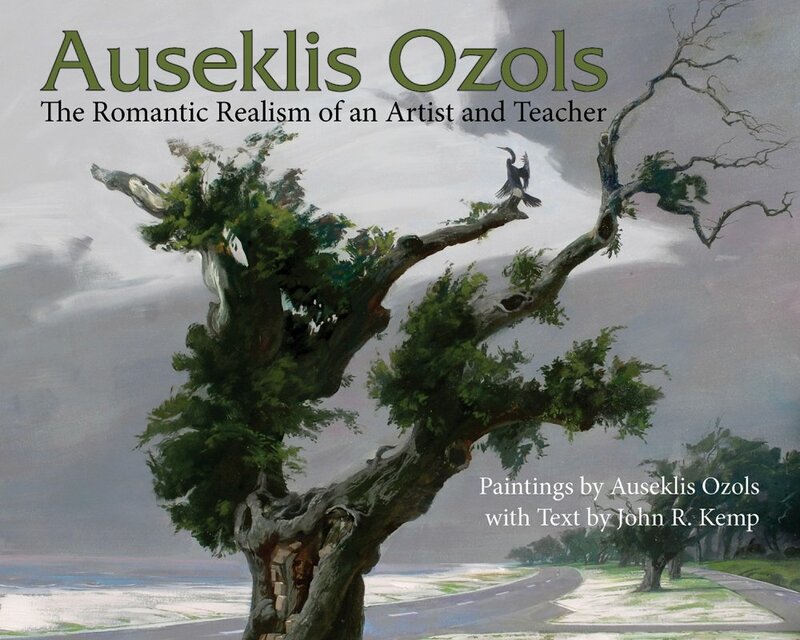 The Louisiana author John Kemp has prepared a monograph on Auseklis and his work, published by Pelican. It is projected to be available October 1, 2018, and we will announce a book signing event before that time. The hardcover may be pre-ordered on Amazon now. In July Patti will be attending the International Calligraphy Conference in Bellingham, Washington, where she will exhibiting and studying with renowned Irish calligrapher Denis Brown. Her first book project, "The Survival of the Flutist", illustrated and hand-lettered by Patti, will be published in August 2018 and presented at the National Flute Convention in Orlando, Florida. Kim has just been interviewed by the New Orleans Canvas Magazine for an article about her and her work, to be published in the 2018 Summer issue. Her latest public commissions are feline-themed sculptural elements for the Peltier Plantation restoration in Houma. The unveiling is scheduled for late summer 2018. The Academy Gallery will host Jean's solo exhibition in November 2018. She will be presenting a paper for publication and an accompanying talk at a conference organized by the London Centre for Interdisciplinary Research and the Interdisciplinary Research Foundation entitled: Russian Realist Painting - Beyond the path of Peredvishniki: An examination of realist painting technique between Ilya Repin, Thomas Eakins, and John Singer Sargent. 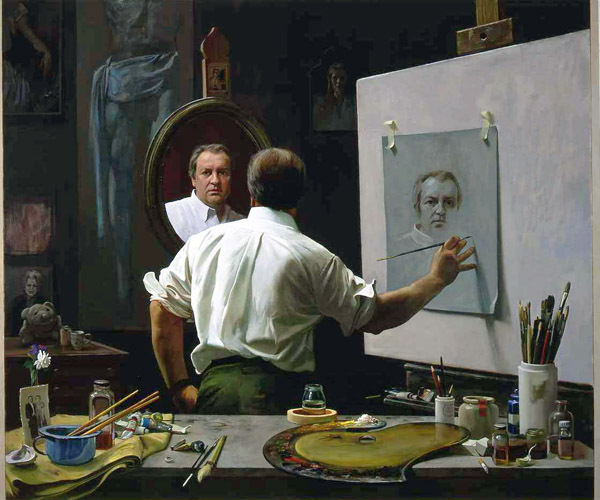 An investigation into similarities of manner, means and method that places Russian painting in direct action with criteria for technique and theory that structure American Realist painting. Gus Hoffman is taking a sabbatical from teaching at the Academy this summer to study with internationally recognized artist and instructor Graham Nickson. The intensive courses at The Studio School in New York City place a special emphasis on working from life, and Gus is excited to share what he learns this summer with his NOAFA students when he returns for the fall semester. Gallery 600 Julia is hosting Diego's solo exhibition in November 2018. Carol will be taking her teaching skills to a national audience in New York City this October: the Pastel Society of America is offering her two-day pastel portrait workshop. A recent guest blog by Carol about her work appeared on the How to Pastel website. Helen is currently working on her personal portraiture project "Beginning or End". She is also continuing her work with the local Shutterbugs class as part of The Pablove Foundation. Phil will have a solo exhibition at the Degas Gallery on Julia Street in June 2018. He will also have a solo exhibition in August and September 2018 at the Mississippi Gulf Coast Community College Fine Arts Gallery in Gautier, MS.
Billy's Studio Solitario will participate in the "Champagne Stroll" Magazine Street art celebration this Saturday, May 12, 5 - 9pm (4531 Magazine Street). Nell will have her 4th solo show at Carol Robinson Gallery in November 2018. Zona's solo show at Degas Gallery on Julia Street is coming up in October 2018. We are pleased to welcome Aimée Farnet Siegel to our faculty in June. Aimée has designed an Intro to Abstract Collage course for our students. 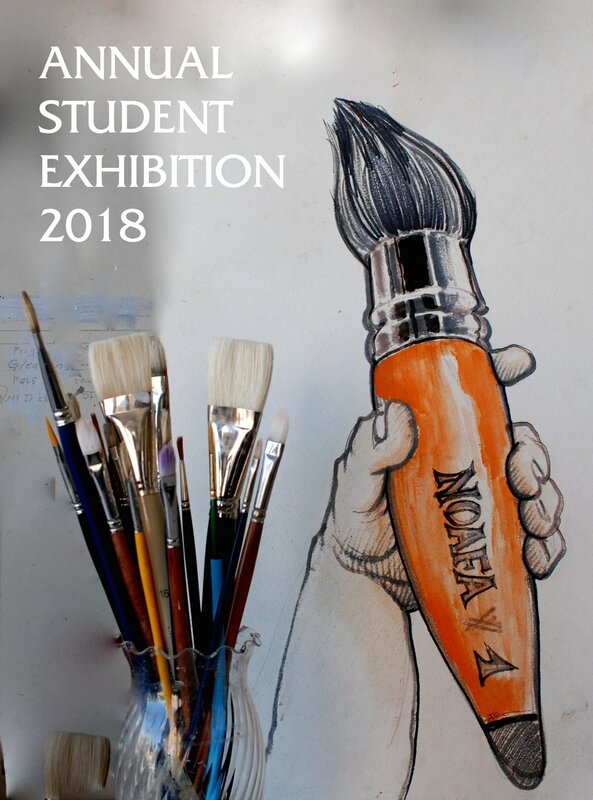 Our most import exhibition of the year is almost here: every year all eligible students are invited to submit their best work of the year for our student exhibition. This show is juried by the faculty, and award winners will be announced at the Opening Reception. Our Summer Semester is right around the corner and spaces are filling fast! Check out the class schedule and contact us now with any questions and to register. Michelle was a NOAFA student from 1991 to 1997. 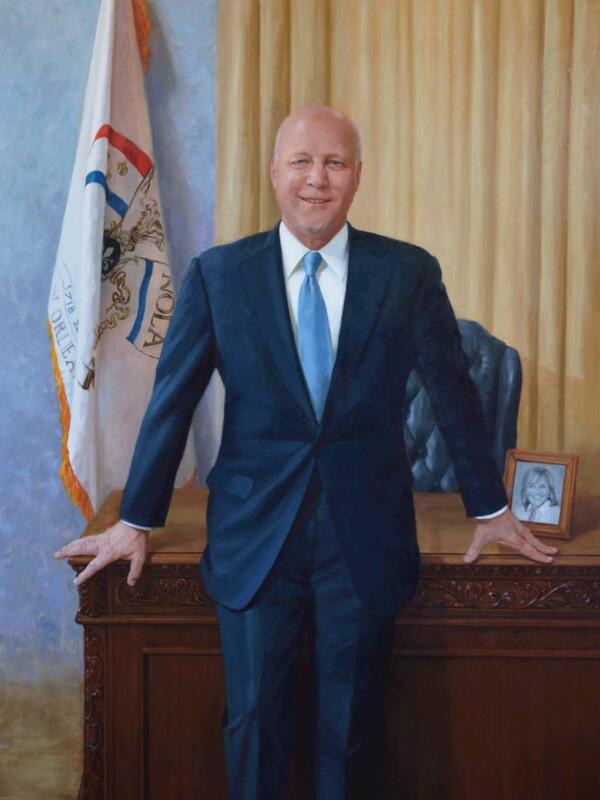 She has recently been in the local news, as her official portrait of now former mayor Mitch Landrieu was unveiled at Gallier Hall on May 1. Michelle is much admired for her commissioned portraits, which are represented in numerous public and private collections. 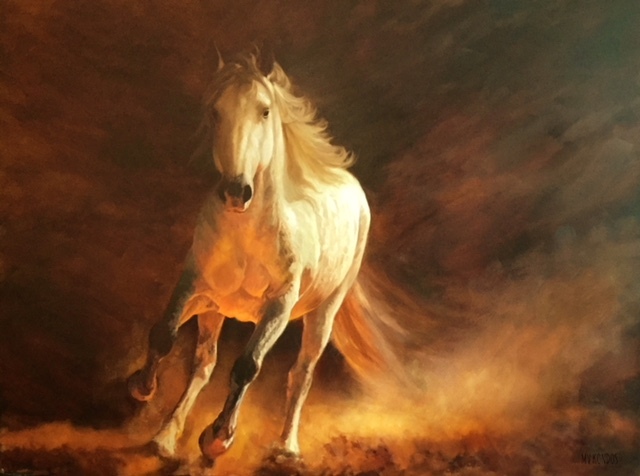 Since her move to the desert town of Borrego Springs, CA, she has also been building a reputation for her western, wildlife and landscape paintings. We could not be any prouder to count Michelle among our amazing alumni!